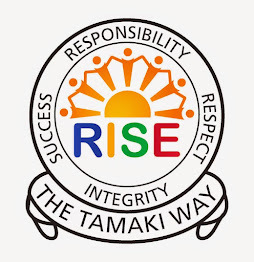 LJ: Tamaki Primary : Goodbye ... For Now. Today ... Was the final day in which we got to see our friends . Both year 8 and year 7 . It was sad for all of us to see them go . It wasn't long before people started crying . But , at the same time , We had to farewell two AMAZING teachers . Ms Thompson & Ms Morrison . They were both great teachers as they will be missed by their students and tamaki family . I too will miss my tamaki family as I was put into sadness saying that I will have to leave my other friends behind . Next Year , It is the Year 7's turn to lead as they will take on the role of the year 8's next year . I hope they will do the school proud as the little kids will look upto them. I will come to visit some time soon to see how things are going .